The process of becoming designated as a Magnet hospital is an arduous one. Compliance in meeting the Magnet Standards of Care and Standards of Professional Performance must be documented. It is then decided if the organizational overview and measurement criteria are met. If these are met, a site visit is planned, after which the final report goes to the Magnet Commission on Recognition. The site visit demonstrates, through interviews and presentations, behaviors that verify the hospital is in compliance with the material submitted. The facility must showcase examples and present proof of specific requests for information. The facility only has one chance as there is no appeal or resubmission permitted. The survey team consists of two appraisers and the visit is usually three days in duration. The visit has a planned agenda, which can be revised by the surveyors without notice. The organization must be fully prepared from the physical appearance and cleanliness to the information posted on bulletin boards. The staff must be prepared and comfortable discussing the material submitted and addressing questions or concerns from the surveyors. The appraisers also request the assistance of a staff nurse during the tours and scheduled meetings. The material submitted will be challenged throughout the visit to validate the information provided and to verify the staff’s knowledge and comfort with the Magnet standards. All nursing shifts are invited to participate with the interviews, validating compliance with the standards around the clock. After the survey, the healthcare organization is notified of its Magnet status; this award is good for four years. Thereafter, an annual report must be submitted to assure the Magnet status is being maintained regarding quality outcomes and nurse sensitive quality outcomes. Maintaining the Magnet culture after a survey is a colossal job. The forces must be updated, data collection continued, benchmarking completed, and statistics collected regarding recruitment and retention, education, and advancement. The information is submitted in an annual report (in a set format) to the Magnet organization. The data is reviewed by accrediting staff and comments or concerns must be addressed by the organization. The Magnet designation can be jeopardized if there is a serious occurrence or significant change in the management of the organization, or in the outcomes collected regarding the nurse sensitive outcomes. Not all organizations are re-designated or provide sufficient evidence to support Magnet designation. Do you have something to say about a hospital that is applying for Magnet designation, or one that is already accredited? Input from the patients, families, clients, staff, and public with who healthcare organizations interact is sought to assist Magnet program appraisers in the evaluation of organizations applying for Magnet designation. ANCC evaluates the environment in which nursing is practiced as well as nursing’s compliance with standards promulgated by the American Nurses Association. 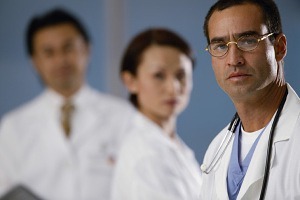 The written documentation is available for public review at the healthcare organization. Its exact location is indicated in the public notice posted at entrances throughout the organization’s facility. Anyone who would like to participate in this evaluation process is encouraged to do so. Comments are confidential and may be made anonymously. The Magnet Recognition Program accepts comments at any time. Please call toll-free 1-866-588-3301. Is care perfect at a Magnet hospital? In a word, no. Med League has assisted attorneys who handle medical malpractice cases involving care delivered in Magnet hospitals. But overall, the care is better in a Magnet hospital. If you have a choice of where to go, a Magnet hospital may be your best one.